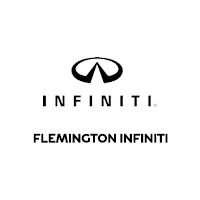 If you’re shopping for accessories for your INFINITI Q50, QX60, or any other INFINITI vehicle, Flemington INFINITI is here to help. We’re the authority in Bridgewater and beyond thanks to our knowledgeable INFINITI parts and accessories department. INFINITI parts are even backed by a 12-month/12,000 mile limited warranty when installed by us. Find out more about your accessory options today! For more options or to check INFINITI Q50 accessory availability, contact the parts department at Flemington INFINITI. Our experienced technicians can take care of any installation need you have. If you’re equipping the QX60 with a receiver hitch sub harness brake jumper, you’ll want to know it’s done correctly. When it comes to INFINITI accessories, it pays to only use genuine OEM parts. This ensures a strong fit that’s designed to fit your car, truck, or SUV, and it offers the strong durability to match. For more information, contact us at 908-782-6868. Our parts staff will use their years of experience to help you find the part that’s going to fit your vehicle. You can even order parts online and we’ll be in touch as soon as they arrive. 0 comment(s) so far on Where Can I Find Genuine INFINITI Accessories?